It’s not summer anymore, but I am always down for anything barbecue. This is a super easy recipe with a lot of tasty flavor. 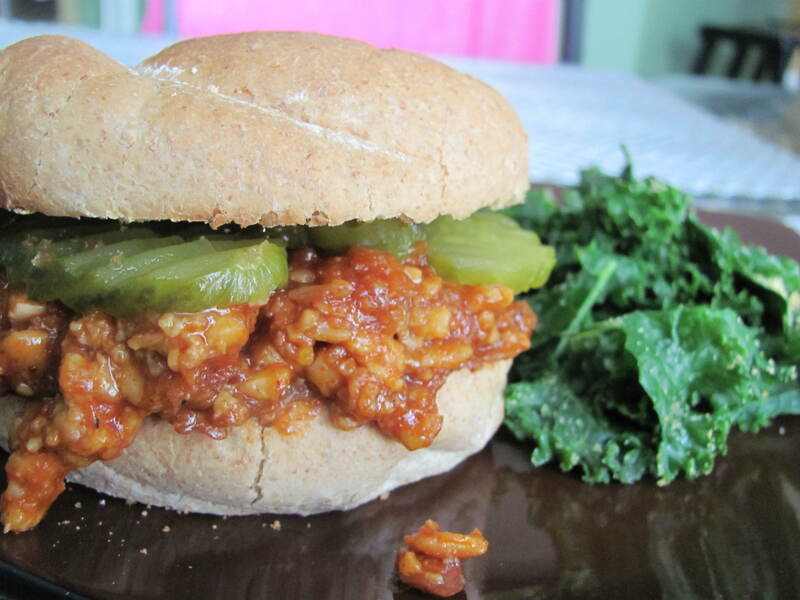 Crumbled tempeh takes the place of the pulled pork “shreds”, deliciously paired with your favorite barbecue sauce. Heat oil in medium skillet. Add onions and garlic, sautee until onions are opaque and the garlic is starting to brown. Add tempeh, season with paprika and brown well. If the tempeh is getting too dry, instead of adding more oil, just add 1/4 cup water or vegetable broth at a time to keep it moist. When the tempeh is browned to your liking, add barbecue sauce and heat for about 5 minutes more. Pile it high on your wheat bun and top with hamburger pickle slices and more barbecue sauce if you wish. Makes about 2-3 sandwiches.